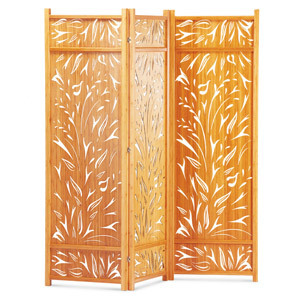 The Lily Screen is the perfect way to spruce up any room. 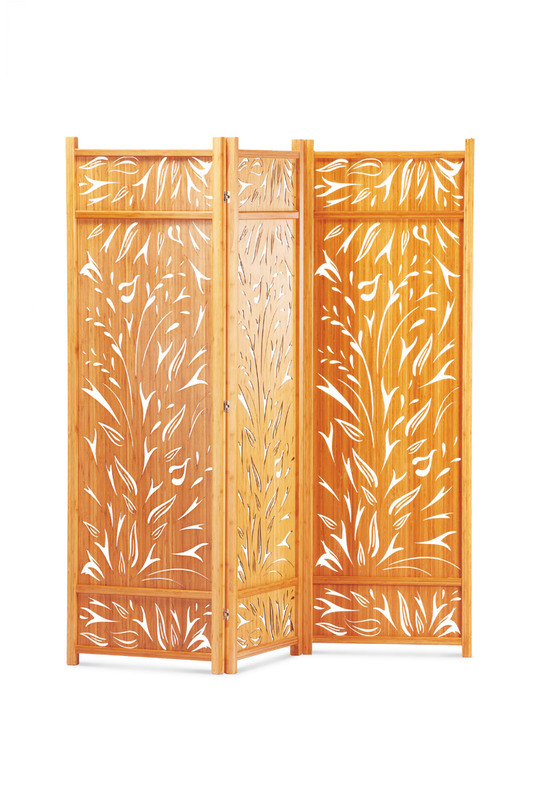 It is rich in carved detail, and the vertical orientation of the bamboo grain draws the eye up and down for a captivating visual effect. Designers and home decor enthusiasts know that the key to creating a memorable room is the details. Put this in your living room, reading room, study, or bedroom for a touch of Asian influence. Unlike traditional screens, this is made entirely of sturdy bamboo, so you can enjoy its delicate presence without worrying about it.